Perry coach Preston Jones affirms the Pumas' 31-3 win over Brophy in postgame chat. (AzPreps365 photo). 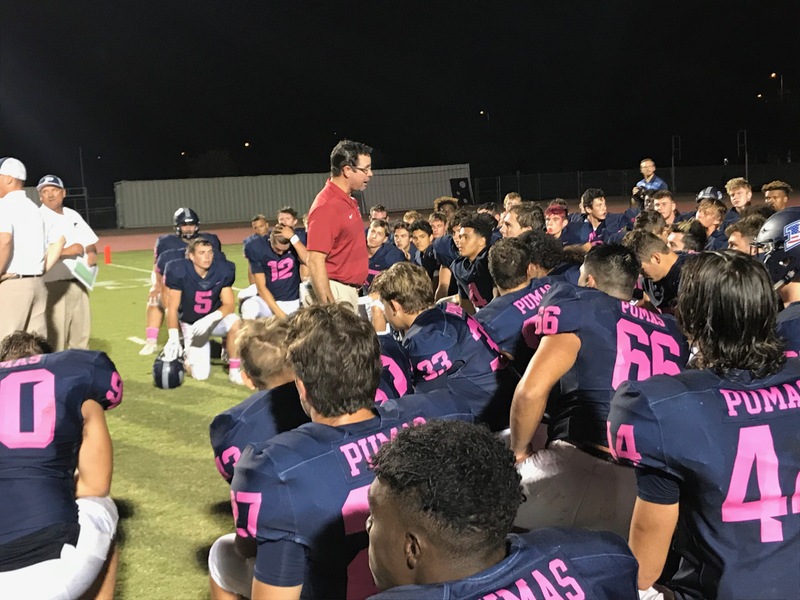 Perry coach Preston Jones was more interested than usual on Friday night in how his offense would respond to the defense Brophy Prep employs. "We told our guys not to get impatient, that we might have to punt a few times," Jones said of the Broncos' 3-3 alignment. Their defense is very unique. We had more success in the second half and our guys did display some patience." After spotting No. 9 Brophy a 3-0 lead with seconds left in the first quarter, No. 7 Perry gradually picked up production with its high-scoring offense to register a 31-3 triumph at John Wrenn Stadium. Perry improved to 6-2 overall and 1-1 in the 6A Premier Region. Brophy dropped to 6-3, 1-2. Perry quarterback Chubba Purdy, who was 11 of 22 passing for 97 yards, no TDs and a pick in the opening half, produced better results after the break that saw Perry up 7-3. Perry running back Jaden Burns 6-yard TD run supplied the Pumas with that lead. On its opening possession of the second half, Purdy was 4-4 for 85 yards with a 31-yard TD strike to Kyle Patterson making it 14-3. Purdy was 7 of 10 for 183 yards and two TDs in the second half. Perry added 10 more points in the third period with a 40-yard field goal from Samuel Cross (a march comprised of exclusively rushing yards) and a TD on its third possession of the period capped by Peyton Hill's 1-yard run. Perry rushed for 145 yards by committee -- Jalen Young, Burns, Hill and Purdy. The second Purdy TD pass capped the scoring -- a 55-yard toss to senior wide out Connor Boyd with 6:20 to play. Perry's defense had its best game of the year. It forced Brophy to settle for a field goal after marching to the Pumas' 5 late in the first. Brophy punted six times, was intercepted on a drive in the red zone in the fourth period and stopped on downs by Perry twice in the final period. Brophy had some success on the ground, with a few big gains coming from senior running back-safety Marques White. White rushed 17 times for 113 yards. White also put an end to Perry's first drive of the game with an interception near the goal line. The game featured as many TDs scored as TDs called back. 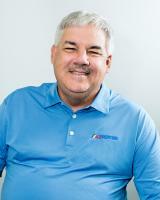 Perry had three negated by penalities - one in each of the first, second and third quarters. Brophy had a punt return in the final period taken away by a block in the back. Perry continues region play next week at Hamilton while Brophy completes its regular season at home against Basha.